MIXED KITCHEN SET BEECH - Small, versatile and efficient blades for everyday use. This set comprises of a peeling knife, serrated knife, vegetable knife and a paring knife. 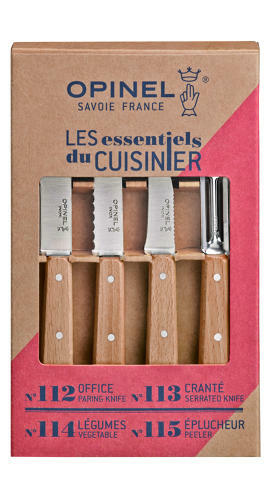 Each one features Opinel's high quaility stainless steel blades and beechwood handle.